Residential Parks and Holiday Parks – What’s the Difference? If you’re thinking of buying a park home, one of the decisions you need to make is whether you choose a residential park or a holiday park. The key difference is that you have no right of permanent residence on a holiday park – so your main residence needs to be elsewhere. The opening times of a holiday park are governed by the licence that it has been granted by the local council, so you may find that it is closed for one or two months a year, or that you can only stay there for a maximum number of weeks at a time. Even if a holiday park is open for 12 months of the year, it does not mean that you can live there permanently. Of course, your choice of a residential park or holiday park for your park home depends on how you want to use your home – both now and in the future. 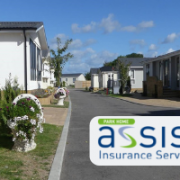 A holiday park may have mixed use accommodation – such as holiday lodges, static caravans and holiday caravans so this may influence your choice. Also, check the terms of the licence to find out whether sub-letting is permitted. Buying a home on a holiday park is likely to cost less than the equivalent home on a residential park. One of the reasons for this is that the occupational licence covers a specific time period (for example 10,15,25 or 50 years) while the occupational agreement for a residential park has no end date (a period of perpetuity). Also, a home on a holiday park is not subject to council tax as it is not your sole or main residence. The local authority may need confirmation that you pay your council tax elsewhere. On the other hand, homes on holiday parks are not protected by the Mobile Homes Act 2013, while homes on residential parks are. 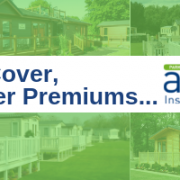 The Mobile Homes Act 2013 was designed to provide better protection for park home owners, and provide the legal framework to allow honest and professional site owners to operate successfully without unfair competition from rogue traders. A park home owner owns their home, but pays a fee to the park owner to site their home on their land. Amongst other things, the Mobile Homes Act 2013 introduced new rules on reviewing pitch fees so that unscrupulous site owners do not take unfair advantage of residents. In 2017, the Government carried out a review of the Mobile Homes Act 2013 and has recently published its findings. You can access them here: Mobile Homes Act 2013 Review. You can also find further information on buying a park home on our website and see park homes for sale. For more tips on park home living and to keep up to date with park home related news, please follow us on Facebook, Twitter & LinkedIn. 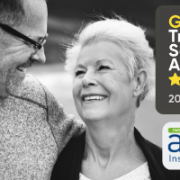 Are you due to retire and thinking of moving? 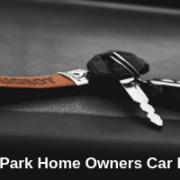 Park Home Assist Insurance Services, is a part of Assist Insurance Services Ltd, Royal House, Queenswood, Newport Pagnell Road West, Northampton NN4 7JJ.